America inclines to wars of the rhetorical absolute. Adversaries readily turn into menaces; menaces into irresistible blobs and imminent devastations. Fights burst into wars and wars are declared holy. As the nation strives to protect itself from actually existing enemies, the Manichaean strain in American life packages them into the Enemy to End All Enemies. The enemy, like the monotheist’s God, is single and omnipresent. Behind every jihadi with a rocket grenade launcher stands Stalin and Hitler. Once again, everything is said—shrieked—to be at stake. All-or-nothing minds crowd the center of what is sometimes too respectfully called “the national conversation.” And sometimes the center does not hold. We are not the only nation that has been drawn to the apocalyptic mood, God knows, but it is a leitmotif to which we return as if to primordial ooze. America was, after all, a promised land from before its inception. Before the English settlers had spied the Massachusetts coast, they knew it to be the yet unseen site of a “new Israel.” When they discovered the land was already occupied, they wrestled with the question of how to come to terms with that inconvenient fact. Not all their reactions were extreme, but extremes were always a live option. It wasn’t sufficient that there must be war against a European empire; there must be war to end war. It wasn’t sufficient to contain the evil system of Soviet communism; at all costs, communism everywhere must be expunged everywhere. The Japanese were not only aggressors, they had to be imagined as subhuman. The very extravagance of these hysterias is partly a function, paradoxically, of the private enthusiasms that absorb us. Over the past century, America has become rather less Spartan than epicurean. We are not exactly peaceable, but most times, we’d rather not rouse ourselves for a cause. It’s as if a usually inattentive public can only be galvanized with all-or-nothing rhetoric. So, after 1989, the meltdown of the cold war was a disaster for the apocalyptic imagination. The enemy not only succumbed, he disbanded. There was a hole left in the heart of the ideological theater—Hamlet with a void where Claudius used to be, Iago written out of Othello. Not only that, but inconclusive wars became the norm. It is not altogether surprising that now, despite George W. Bush’s finest rhetorical efforts (I am not being sarcastic) to distinguish between Al Qaeda and Islam tout court, Islam has emerged as the (im)moral equivalent of communism. And increasingly, through the land, we hear voices who, like McCarthyites of yore, are not into fine distinctions. The rhetoric of savage reduction is all over the Internet. Evidently the most exciting games are the zero-sum ones. The demonization of Imam Feisal Abdul Rauf, which I have written about in this space (here and here) as well as elsewhere, displays what has crawled out from the fringe. Violent jihadism is, of course, no more a fiction than communism was. The horror movie is imaginary, but there are real spooks in the theater—real stop-at-nothing men willing to fly planes into buildings and otherwise slaughter indiscriminately. Yet it is still not exactly right to characterize what we are living in as war. We are living—and shall for a long time be living—in a shadowy interzone: neither war nor peace. The phrase originates with Trotsky, who after the triumph of the Bolshevik Revolution, in 1917, proposed a provisional arrangement that would ease the Russians out of the conflict with Germany. The result, he said, would be “neither war nor peace.” In much of the world today, and for the foreseeable future, what is at work resembles the condition of “neither war nor peace.” In addition to the steadier hostilities of U.S.-Iraq and NATO-Afghanistan, which by any stretch of the imagination constitute wars, there are the long-running fronts of India-Pakistan, Israel-Palestine-Lebanon, U.S.-Somalia, U.S.-Yemen—fronts that erupt, subside, flicker, and re-erupt. This is all bad enough. But from a point of view shared by jihadis and neoconservatives, those are but provisional fronts in the Long Front, which runs between the West and the Muslim world. Two Manichaean worldviews coincide in a view that two civilizations confront one another. But things get even worse: In the Manichean imagination, the enemy is also within! 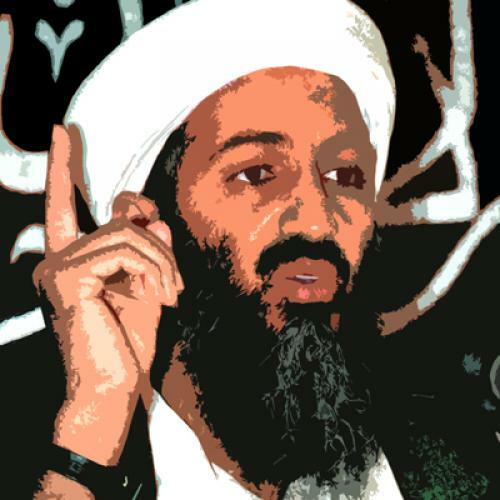 For the jihadis of bin Laden & Co., the Muslims have been betrayed by false leaders—brutes all. And now, for Sarah Palin, Newt Gingrich, & Co. a sleeper religion is waking up, and it’s good for neither the Christians nor the Jews. From a realistic point of view, civilizations are permeable, hybrid, compound. They interpenetrate and they mutate. There is no fixed, essential Occident—or Christian, or Jew—any more than there is an essential Orient—or Muslim. Boundaries, like ideological amalgams, are politically fashioned. Amartya Sen, among others, has written convincingly about this. Yet the Manichaean temper keeps reviving. (It is enough to make even an anti-Manichaean think of vampires.) As some in public life try to lower the temperature, others inflame it. The rhetoric of values goes into convulsions. In respectable places, rhetoric—as Czeslaw Milosz memorably wrote of history during Europe’s Götterdämmerung—“comes off the leash.” Thus: “Islam,” we heard from an apostle of the apocalypse, the Rev. Terry Jones of Gainesville, Florida, “is of the devil”—with reverberations known to everyone. Burn the books, with their damnable nuance—except for selected passages from the Gospels and the Book of Revelation. As readers of this magazine will have noticed, the Republican Party has come off its own leash. What animates them is not “partisanship.” It is hysteria. And here’s the point: When the margins crawl with insanity, it is all the more important for the vital center of calm, reasonable, evidence-based thought to hold. But some minds that ought to know better are cowed, while others are playing with fire. When Martin Peretz, the editor-in-chief of this magazine, declared that “Muslim life is cheap, most notably to Muslims,” and “wonder[ed] whether I need honor these people ['those Muslims led by the Imam Rauf'] and pretend that they are worthy of the privileges of the First Amendment, which I have in my gut the sense that they will abuse,” he crossed a line. Then, reminded by Nicholas Kristof and James Fallows among others that such sentiments are for yahoos, not editors-in-chief of liberal magazines, he apologized for that much—while holding to his insistence that “Muslim life is cheap, especially for Muslims.” “This is a statement of fact, not value,” he clarified. Not for jihadis, or some Arab governments, but “for Muslims.” Muslims in general. Muslims across the board. The Muslim women, too, who are oppressed, “honor-killed,” by Muslim men? When in 2003, Jose Saramago wrote that the West Bank occupation revealed “the Jew” in his essential awfulness, he was rightly excoriated by many, including this writer, for spewing plain Jew-hatred. It was easy to recognize reductive xenohysteria when the Jews were the target. One rightly expects enlightened opinion to rule this sort of thing out of bounds. And now? I should add that I write more in sorrow than anger, for once upon a time—it seems like centuries ago—Marty Peretz was my political friend and teacher (approving, along the way, my adolescent wanderings in quasi-Marxism). Even across political divides of later years, I have (ill-advisedly) bitten my tongue after reading his diatribes against “the Arabs” over the years. But in the thick of a xenohysteria that stands to worsen as the country churns in panic and miasma, I think it essential to underscore that those with the privilege of the public ear are obliged to take intellectual standards seriously. The life of the mind is not the life of the spleen. Todd Gitlin’s latest book (with Liel Leibovitz), The Chosen Peoples: America, Israel, and the Ordeals of Divine Election has just been published by Simon & Schuster.